Do you wish for a fabulous smile, one that you can share with anyone with confidence? Do you have missing teeth or a tooth that is cracked, chipped, misshapen or has other issues that are affecting your smile? Dental crowns are the usual protocol to repair these issues and give you an amazing smile. 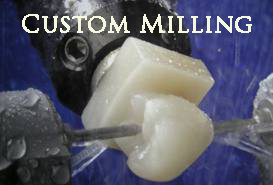 However, dental crowns can be uncomfortable, using messy molds to make the necessary impressions. Also, traditional dental crowns take two visits to fit properly and complete the treatment. Want a complete, gorgeous smile in one day? This is now a reality, using CEREC same day crowns! Yes, you can have crowns in a day — in one visit! CEREC is a technology that is transforming tooth restoration and one Dr. Jeff Gray, Dr. Hurtado and their caring team are proud to offer you in our San Diego office. You can walk into our comfortable La Mesa dentist office, receive a simple, painless procedure, and in one visit you can get same day crowns! Your smile will be complete and beautiful! How Do CEREC Same Day Crowns Work? The CEREC same day crowns treatment is quite simple. Using the state-of-the-art CEREC crowns in a day technology, your dentist will check your tooth or teeth and diagnoses the proper treatment. Then, he will prepare the tooth or teeth for restoration. 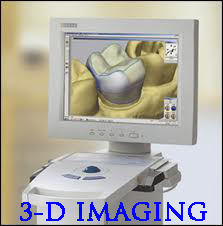 Using the CEREC crowns in a day technology here in San Diego, Dr. Gray or Dr. Hurtado will then create a 3D model of your tooth to be used in the CEREC milling unit. This takes a ceramic block and actually sculpts dental crowns in a day — right while you relax in our comfortable office. The entire process takes far less time than you would think. Once the CEREC crown is finished, your dentist will place it in your mouth, check that it has a proper fit, makes adjustments if needed, and then polish it. 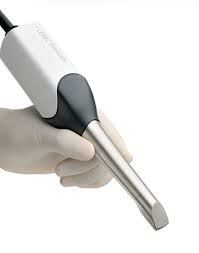 Finally, the CEREC crown will be bonded to your tooth permanently. You can see why CEREC are called crowns in a day! You can come into the office, receive the CEREC same day crowns procedure and leave the office with a brilliant, complete smile! If you are dreaming of a fabulous smile and would like to see that dream come true in one simple office visit, call today! We want to get your smile dazzling if you are in the San Diego area, from La Mesa to El Cajon!